This is a test to explore the possibility of using a blog to foster discussion surrounding the interests of a proposed historical association, the Huronia Historical Association. This assoc. is aimed at a select range of history in the Huronia area. The Huronia area corresponds closely to the Simcoe County region of south central Ontario in Canada. "Historic Huronia" to me might be more limited to North Simcoe and include the current townships of Tiny, Tay, Severn, Oro-Medonte and Springwater as well as the towns of Penetang, Midland and the City of Orillia. 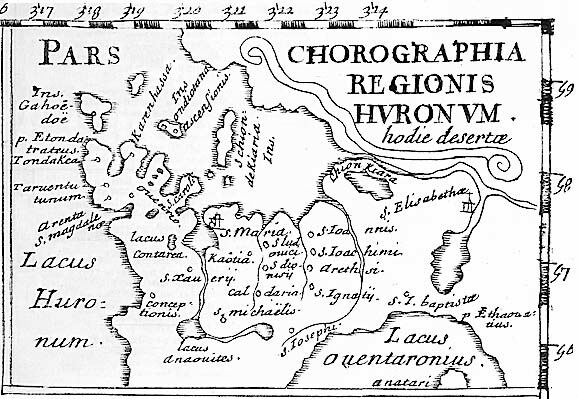 This was the region walked,talked and written about by Champlain, Sagard and the Jesuits between 1615 and 1651. Nottawasaga township and the Collingwood area many also be included here. 1-I am caught between the blog and forum formt. I am leaning toward the forum but do not know enough about the question of development and the time required to maintain one. There are probably other questions like hosting, domain name and costs that arrise here. Lets see what other comments we receive. 2-What is the purpose and benefit of the word verification process required at each sign in?